Quick! Free Tickets to an Irish Cheese Tasting in NYC! The kind folks at Murray’s Cheese are inviting the first 30 of you who R.S.V.P. to the phone number below to an exclusive Irish farmhouse cheese tasting at Ireland House in NYC this Thursday, October 30th, from 6-8 PM. 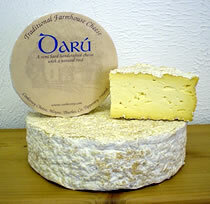 The tasting will be led by Breda Maher from Cooleeney Cheese in the heart of Tipperary. Below are the details. This will be the kick-off event for a month-long Irish cheese promotion that Murray’s is conducting. As part of the festivities, Murray’s will be featuring Irish cheeses throughout November and hosting tastings with cheesemakers from the country.